On the Arctic Ocean, Iñupiaq paddle their umiaq skinboat. 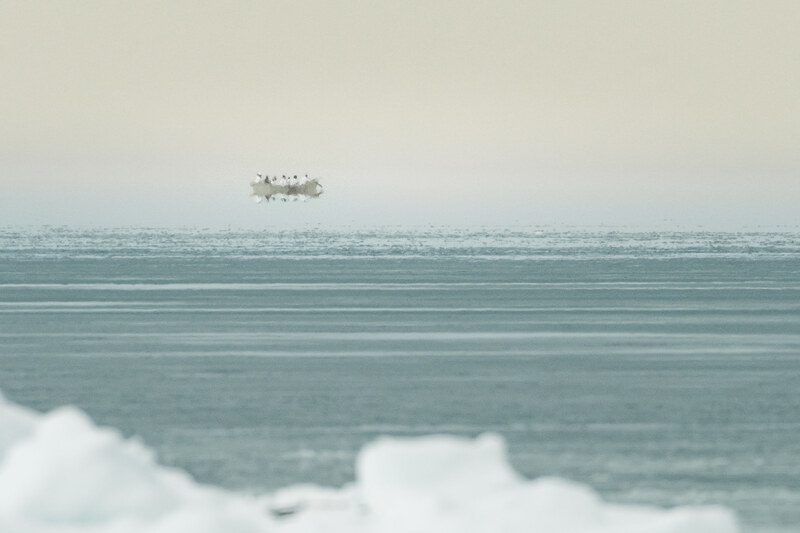 A Fata Morgana mirage makes their umiaq appear to float over the sea. Spring whaling by umiaq is made possible by the shorefast sea ice. As the sea ice gets thinner each spring from a warming climate, traditional whaling becomes increasingly challenging.